Welcome to Day #3 of Chocolate, Fruit and Nut Theme Week. 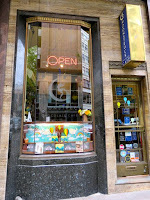 This week includes fruit and nut chocolates confections from the Portland, OR, area, purchased during a visit last weekend. 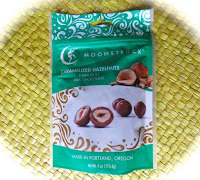 Today's chocolates were bought at Moonstruck Chocolate Co. (Portland, OR). Their tiny gem of a chocolate shop (in downtown Portland) was at capacity with 5 or 6 people inside; but it contained a dazzling display of sugary confections, filled chocolates and a few bars. 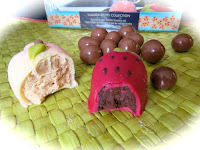 I paired these with two different kinds of fruit-shaped truffles from Moonstruck's Summer Fruits Collection. They seemed like a good visual match or pairing with the hazelnuts. And, it just seemed like a Chocolate Banquet thing to do. 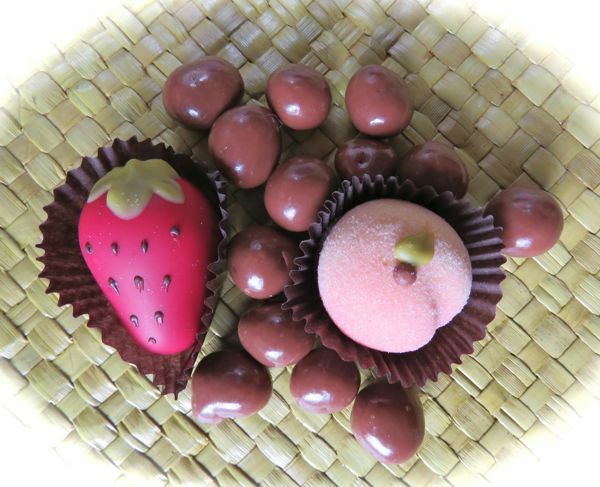 The dark chocolate filled strawberry and the lighter-colored peach were also too sweet for me but, visually, they looked great, rivaling the traditional small whole "fruits" crafted from marzipan (sweet almond paste). 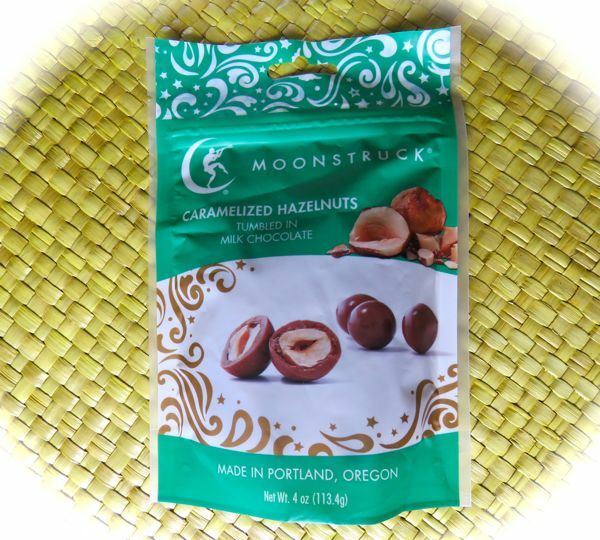 Moonstruck has been producing chocolates in the Portland area for more than 20 years. Thank you to the young woman in the shop who provided great counter help. Labels: chocolate and fruit, chocolate and hazelnuts, chocolate and peaches, chocolate and strawberries, milk chocolate, Moonstruck Chocolate Co.